Happy Veteran's Day. We're so thankful for our freedoms. We had a really busy weekend. Christmas orders are pouring in. Who are you people that are on top of things so much that you're doing your Christmas shopping already?! I like you. And I'm a bit jealous of you. Today all three kids are at school and The Man is home from work. We've waited like 12 years for this. So you know what we did? Went back to sleep. Got up late and had our coffee at 10:30. And now our big plans for date day include cleaning and house projects. We're crazy exciting people, y'all. We got a bunch of new jewelry designs listed last night. Soooo, would you like to win something? 3 of you will win $25 gift certificates to TheRustedchain.com! To enter just leave a comment: Are you ready for Thanksgiving next week? We'll draw random winners in a few days. Also, we don't have thanksgiving here, so I guess I'm not ready either. I feel lucky this time! Fingers crossed! 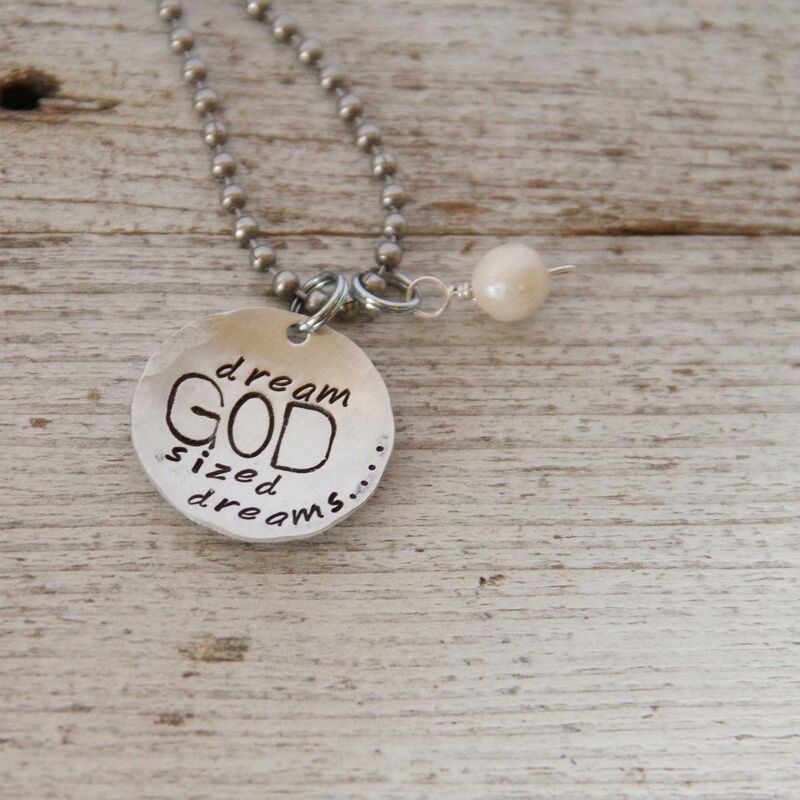 I need that God-sized dreams necklace!! Beautiful! And no. way. I am SO not ready. But this year, at least, we get to be with family again. :) I'm baking a made from scratch apple pie...yum! Wish you were close, I would bring you a slice! i am NOT ready for Thanksgiving. Wish I was in MY house. 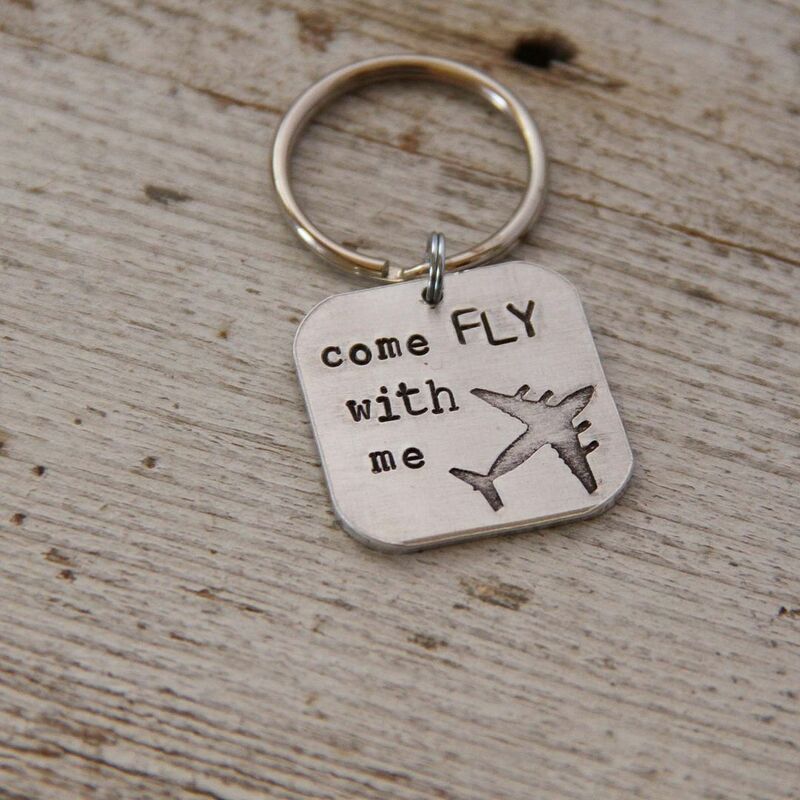 Love the new God sized dreams AND the Come FLy with Me keychain...and there was one other that i LOVE....I'll have to come back to tell you. oh goodness, I'm not ready for Thanksgiving. I need to clean my house top to bottom, buy a turkey, figure out how to cook it, tell everyone else what to make, eek! oh, and Bless Your Heart. So Southern!!!! Must Have! I'm not ready for Thanksgiving. Thankful it isn't at my house because then I REALLY wouldn't be ready! I am so not ready for Thanksgiving. The fact that it is next week is making me feel really behind on my the 2 quilts I am making for gifts this year. I'm not ready, but I am excited because this is my first year cooking Thanksgiving dinner! We are without hot water and heat right now because we need a new furnace~yikes! I haven't even given thought to Thanksgiving! Um....I guess I am not ready. ready as I'll ever be. Well, except for the food shopping, haha so I guess that's a no. not ready. not really - but pinterest will get me there!! Not at all ready for Thanksgiving, but both myself & dh have to work anyway so not too worried about it. We'll see if we can get our teenagers to think about cooking that day (not likely!). Love, love "just the two of us" because I have 2 girls. :-) Gotta get to work looking for those girls a necklace as well! We actually already had it, since no one will be home for Thanksgiving! I'm ready for the thankful part of Thanksgiving but not ready for the stress of family bickering. I am kinda sorta ready for Thanksgiving!! I look forward to football games most of all! Not ready for thanksgiving, but looking forward to it! I'm ready for Thanksgiving! I enjoy the time spent cooking with my mom. I have the menu planned and cleaning the house this week. So, semi ready. I am as ready as I'm going to be! Not going anywhere and just hanging at home with my daughters (husband is working), so it will be a low-key affair, just enjoying being together! I am almost ready. Have a lot things cooked and in freezer and checking off my list. Cleaned carpets today. Ugghhh. 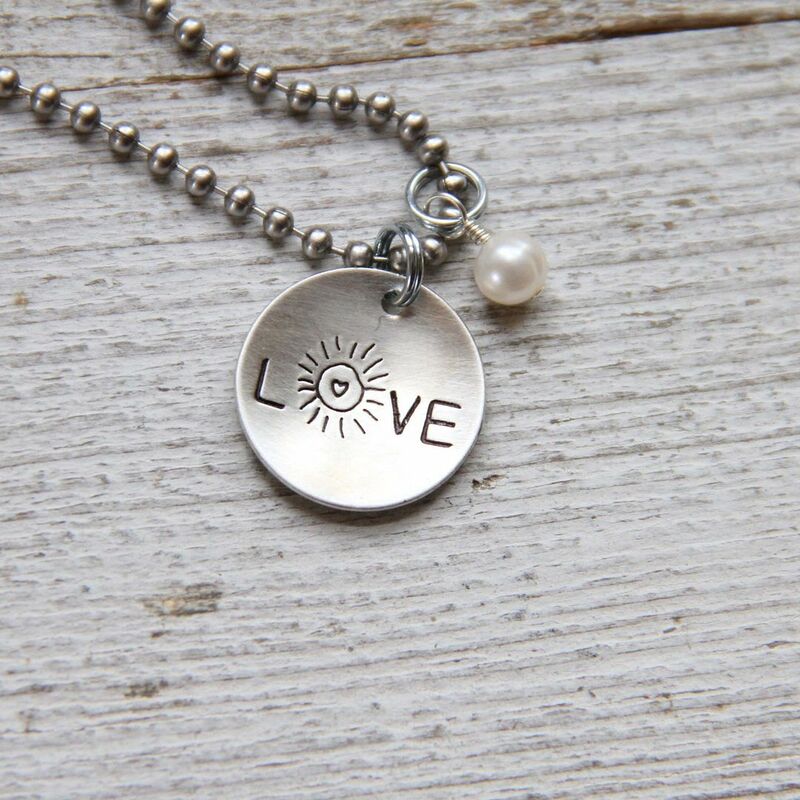 Love ALL your jewelry. LOVE just the two of us and NO, I am decidedly not ready for thanksgiving! Soooo ready for Thanksgiving! My sister and niece are coming from Cali and ALL our kids will be here! Thank you, Lord. Btw, i LOVE the first necklace. Next week?!?! Not really, but we aren't doing a big meal this year. So, its not a big scary cooking bonanza for me. With a thankful heart, I have my turkey and the fixings. My joy will be complete when the family is around the table! I'm not quite ready for Thanksgiving yet, but.. I'm getting there!! I can't believe thanksgiving is next week. It just creeped up on us. I am ready to devour myself in some delicious food but I am not prepared to cook any of it or even started buying food for it. I am so ready! I get to take my kiddos "back home" to my mom's for the week (Wed.-Sun.). While there, we get to meet my cousins new baby! So ready for our family vacation !!! I'm ready to eat till I waddle, but I haven't grocery shopped or made a menu or plan or anything. yep I'm ready for Thanksgiving since dinner won't be at my house! 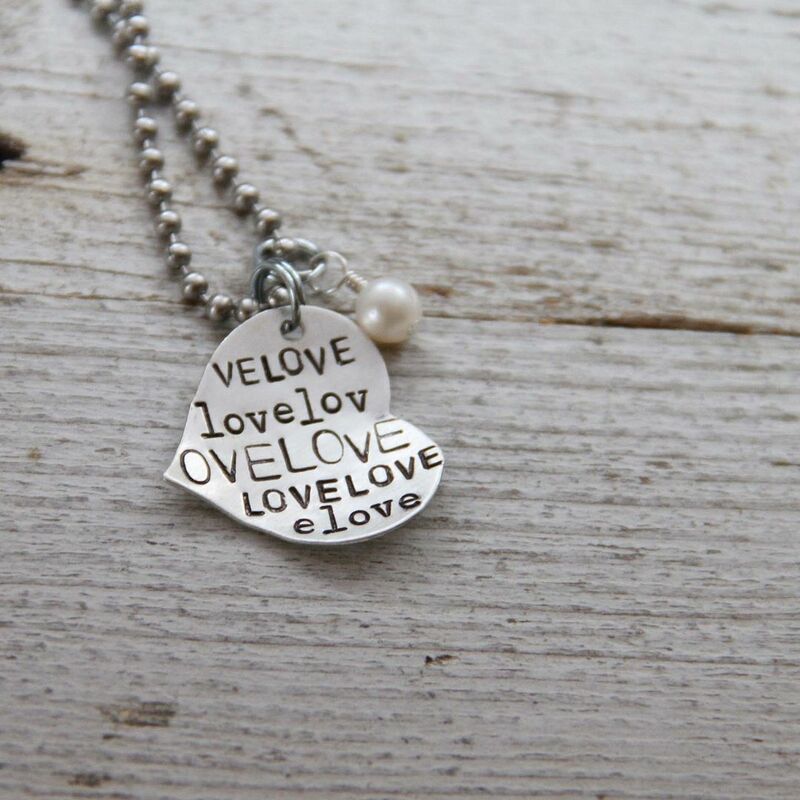 I love the "all you need is love" necklace! Yes, I am ready for Thanksgiving. My favorite holiday!!! I love family and FOOD! i am not ready for thanksgiving next week! we live away from family & we're still trying to decide if we want to make the long drive this year. i love being with my family, but it's a lot of driving...especially when we have to turn around & do it for christmas! I am so ready for Thanksgiving! It is my most favorite holiday! I'm ready especially cause it is at my brother's house so I don't have to host! No, I am not ready! I did some of the grocery shopping today for our Thanksgiving dinner, but the house still needs a thorough cleaning and we need to prepare guestrooms for family visiting from out of state. Eeek! As far as being ready.....I'm not. At least we know our plans. Probably something small for the actual day with HUbby and one son then our offical dinner on the Sat. after. Love the new pieces. I hope you have a lovely Thanksgiving with your famialy. I am ready to have first born home from college, but not ready for anything else...still need to order the turkey! Love this post...we're just as wild and crazy. We had a date night that was hosted by our church on Friday, free child-care, and we got take-out and watched Lonesome Dove. :) I had thoughts of cleaning, but...the show won out. I'd love to be ready for Thanksgiving! If only I could get my large family to commit to a time & date! fabulous!!! thank for the chance! No way I am not ready! I am hosting at our house on Saturday. I currently have one bag of stuffing. That is it. That is probably plenty to feed everyone though. I don't even know how many people are coming! I will be ready for Thanksgiving next week when we are all healthy! Luckily no cooking for me-my wonderful MIL has that covered!!! Shared on FB -thanks for the giveaway! Yes, I am! We have a big family gathering with all the extended family, so each family brings something to contribute. It is a nice time of reconnecting! Remember this Saturday is Small Business Saturday - support all small businesses!! Am I ready for Thanksgiving? Ready to eat? Yes. Prepared for the guests? No. I have a birthday party, holiday parade and a zillion appointments to get through first. I'll be ready when the day gets here. Beautiful new items, Beki. Love them! I am so excited for Thanksgiving! My family visits our cousins, so we don't have to do a whole lot of cooking. So we don't have to be ready for that...just for a 6 hour car ride. I am not ready for Thanksgiving! It's coming so fast! 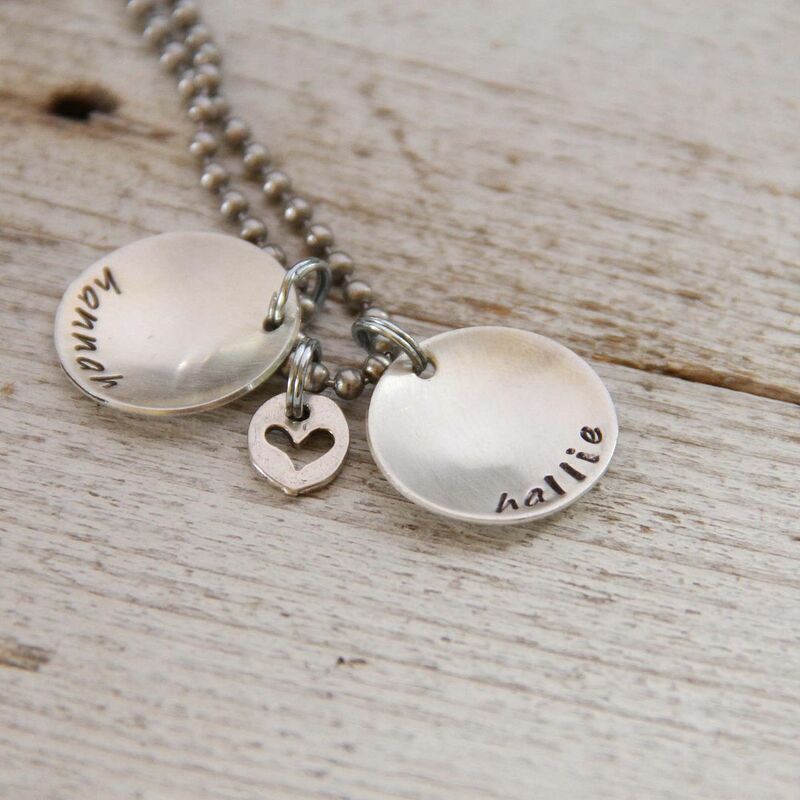 Love the new designs and love the little circle with heart cut-out! 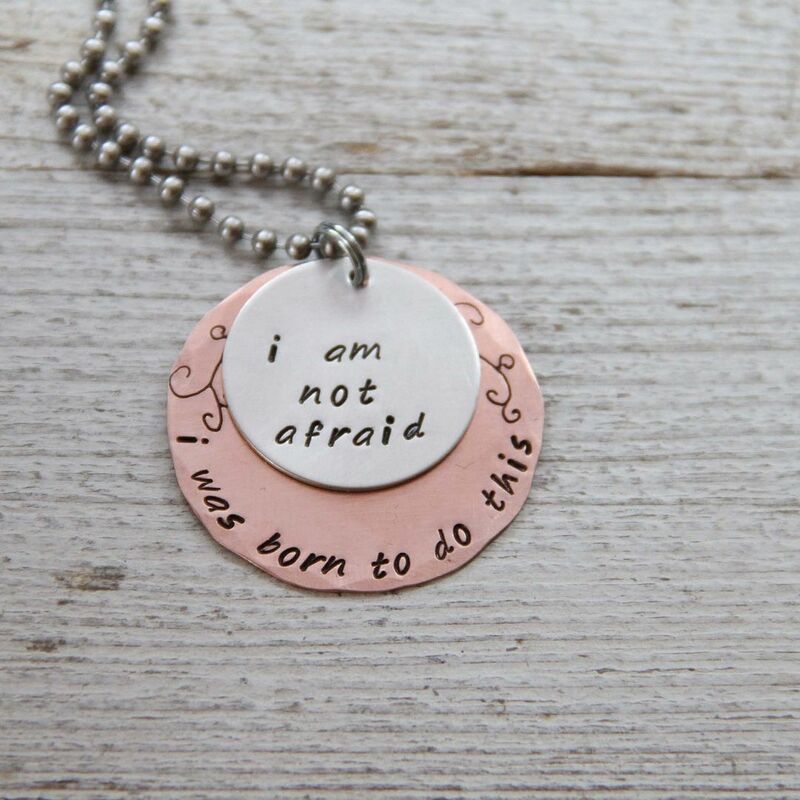 I want the Im not afraid necklace! I am SO not ready for Thanksgiving. Don't have my work schedule yet, and while I thought being home for the first time in three years would make things better it's just more people to try and schedule. I know it will all work out, but it's just not there yet. Whaaaaa?????? Rats, heading to the store to get a turkey now! 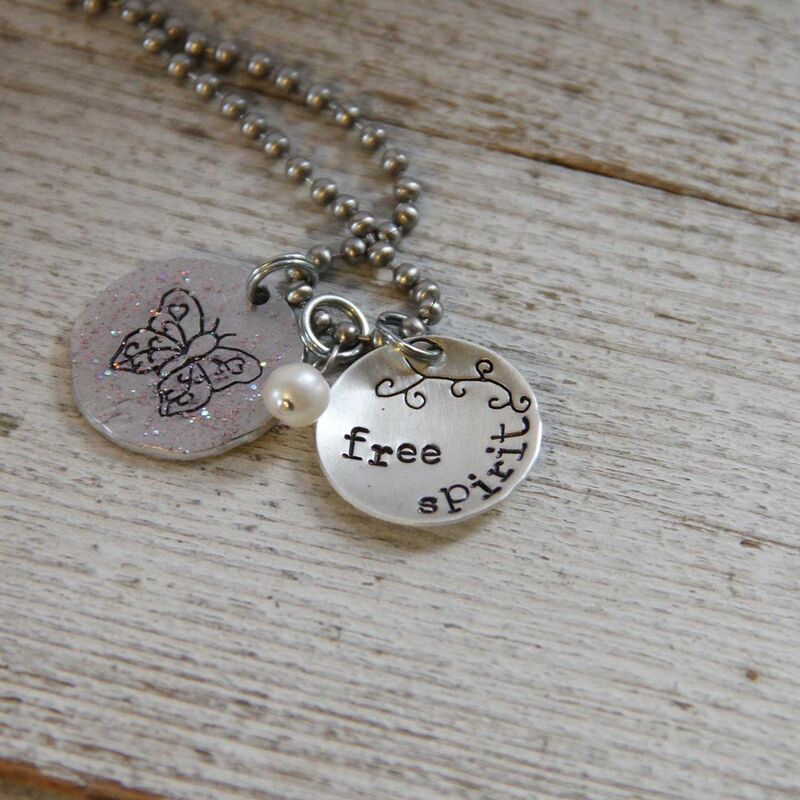 Love your necklaces, hope to have one soon. Sharing on Facebook so other friends find out about your blog and jewels etc. I am SOOOO ready. Because I am not cooking...not entertaining. I am being cooked for and entertained aboard a ship bound for Belize! :) And luckily I will be rich, beautiful, and skinny after leaving this comment! I am so excited for Thanksgiving! Can't wait to spend the day with all my family! thanks for the giveaway Beki! Love is all you need is my fav! I'm ready for Thanksgiving time at home with the family is the best! I love your new designs! I am ready for Thanksgiving, not that things are prepared, but read to see family, spend time together and relax! I am not ready for Thanksgiving. :) I'm in Canada right now and we/they have Thanksgiving the beginning of October and that felt odd! I love your new designs. I'm not ready for Thanksgiving what so ever. (Wish I was). I adore all your new designs! And I am not ready for Thanksgiving - And I am hosting for freinds and family so need to get busy;) thank you for the great giveaway! No, Im not ready for Thanksgiving, I just realized yesterday that it was next week. Love the new designs! I'm not quite ready for Thanksgiving, there's still some things to prepare. Love the new designs! One is cuter than the next. And, I am not ready for Thanksgiving. At all. And I'm hosting. Oh well. I pinned a couple to Pinterest! I'm ready! I love Thanksgiving...food & family! It's the best holiday of the year. Beki there are too many of your necklaces for me to pick a favorite! :) Love you work! I'm partly ready for Thanksgiving, the house is tidy but I haven't done my grocery shopping yet! UGH!! I'm starting to think about Thanksgiving. Wasn't sure if I had the time off until last night (work at a nursing home) so I wasn't sure how prepared I had to be. Getting excited now! My heart is totally ready for Thanksgiving but my body still has a few things to do. Love you, sweet friend! Not really. My mother-in-law's boyfriend's family are coming to our house. I'm ready for our college sophomore to be home for the first visit since the quarter began, but that's it: I still need to order the turkey!! I WISH that I was ready for Thanksgiving, but I am in NO way ready. I just realized that I have to make a pie on Wednesday. And then there is the driving. We make the great triangle trip each year with 2 Thanksgiving dinners. Is it really only a week away?!? Definitely NOT ready for Tgiving! It's early this year! Hopefully the other post deleted since I forgot to talk about Thanksgiving! I'm ready for thanksgiving food, but need to get all my supplies for the food! This year we made reservations. A first for us. Yep. I'm ready. Well, at least in my mind. My sister is hosting our family dinner, so I just have to get a few dishes ready to take. No worries! Yepso ready!! Love turkey day!! Love them all! Thank you for the chance to win! Yes, I'm ready!! It's a blessing to be able to share Thanksgiving with my family and enjoy good cheer and scrumptious food! Woot Woot! Nope. I keep forgetting it's next week! We had our Thanksgiving last month so I can kick back next week ~ oh and get ramped up for Christmas. Love the new pieces! Love the new designs. Love them. Ready for thanksgiving! I think I am ready, but will probably find out next week that I am not - ha! I don't have to host, so in that sense I am ready, but November is going by way too quickly!!! Seriously, I am not ready for Thanksgiving at all! My Mom left for Holland yesterday to deal with a family emergency and we are hosting an event at church and two different house guests all before Thanksgiving! It's been incredibly crazy, but we are grateful! I shared your give away on Face Book! Not even close. Baby's got bronchitis. I've got walking pneumonia and we're moving this weekend. So uhhh no. Can I cancel thanksgiving? Love them. I may even have a new second favorite. As for being ready...yes and no. 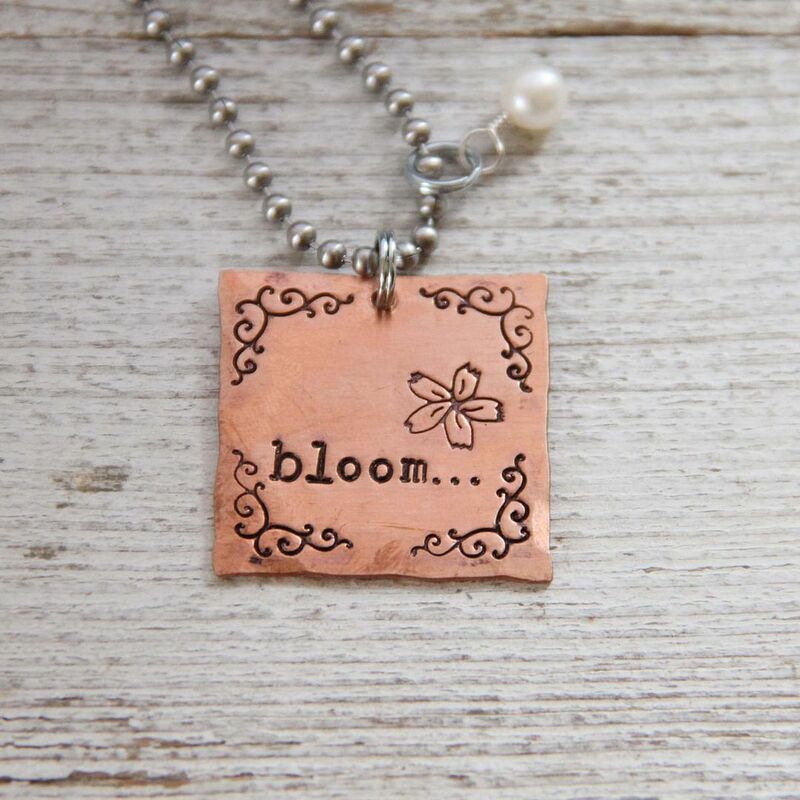 Pinned the Bloom necklace, beautiful! I am SO ready for Thanksgiving! I am lucky that my lovely Grandmother still makes the dinner for everyone. She's amazing. I love the new jewelry. 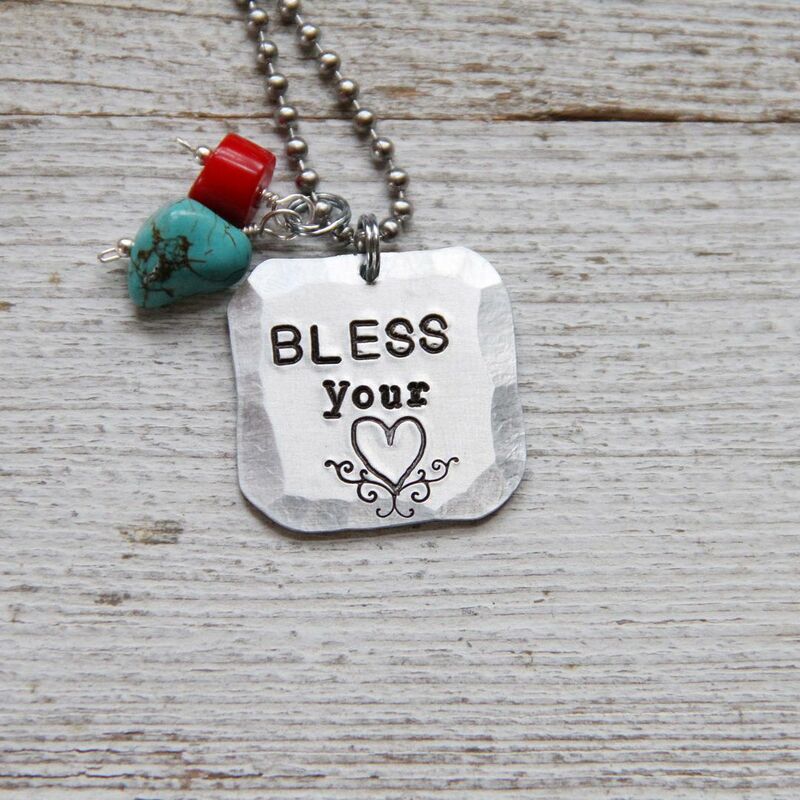 I think Bless Your Heart is my favorite! Yes! But only because I'm not hosting..so I'm checking out some amazing side dishes and desserts on Pinterest. Speaking of Pinterest...I pinned this and tweeted. Ready! Texas for us, then Hesston on Sunday... See you then! I am looking forward to Turkey and days off work so ... yes I am ready for Thanksgiving. I'm so not ready...Costco, here I come! I'm ready! Love this time of year - looking forward to a few days off! I'm ready - I'm cooking and the menu is planned and grocery list is made. I'll prepare a few things on Wednesday and the rest on Thanksgiving Day. I can't wait!!! Not really ready for Thanksgiving, but definitely ready to see all my family that's coming into town! We had Thanksgiving with my extended family last Saturday. Looking forward to time home with just my immediate family!